With the spring season in full-swing, we're feeling inspired by the bling that's been filling our social media feeds. Thankfully, Kassab Jewelers keeps the swoon-fest going by continually gracing us with an abundance of jaw-dropping diamond dazzlers. Below is just a small selection of the dreamy sparklers they have available and each one is equally as stunning as the last. For the Tacori Girl looking to make a statement, this elegant and modern take on iconic glamour is for you. 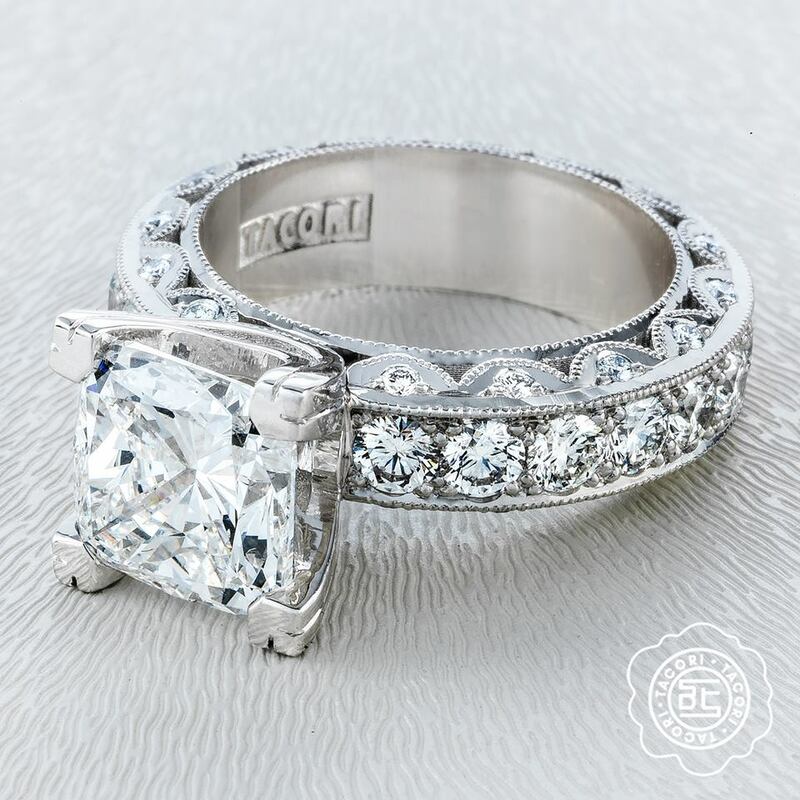 It's no wondering this ring is the most repinned, reposted and most requested Tacori engagement ring. Beautiful from every angle, this ring features the classic Tacori crescent detailing and round brilliant cut diamonds, all individually pavé set by hand. Spacious windows of light allow the true beauty of the center diamond to illuminate from within; creating a faithfully timeless ring that is worthy of your love. Elegance is a state of mind…beautiful jewelry inspires it. When you want one moment to last a lifetime, commemorate it with this stylish and playful Verragio dazzler. Characterized by fluidity, style and design, the twisted diamond band and scrolling details are unlike any other …simply breathtaking. Live more defined with Michael M diamond jewelry; a designer line inspired by those who understand that some traditions were meant to be broken. Michael M's Vercelli Collection marries time-honored craft with modern design to create unique pieces that elevate the art of fine jewelry. This sensational creation sparkles in 360 degrees with pavé and channel set diamonds that expertly showcase the center stone and reflect your unique brilliance. This romantic double-halo design by Kirk Kara is the Masterpiece of Your Heart's Desire. Each mesmerizing detail is designed to provoke love at first — and eternal — sight. 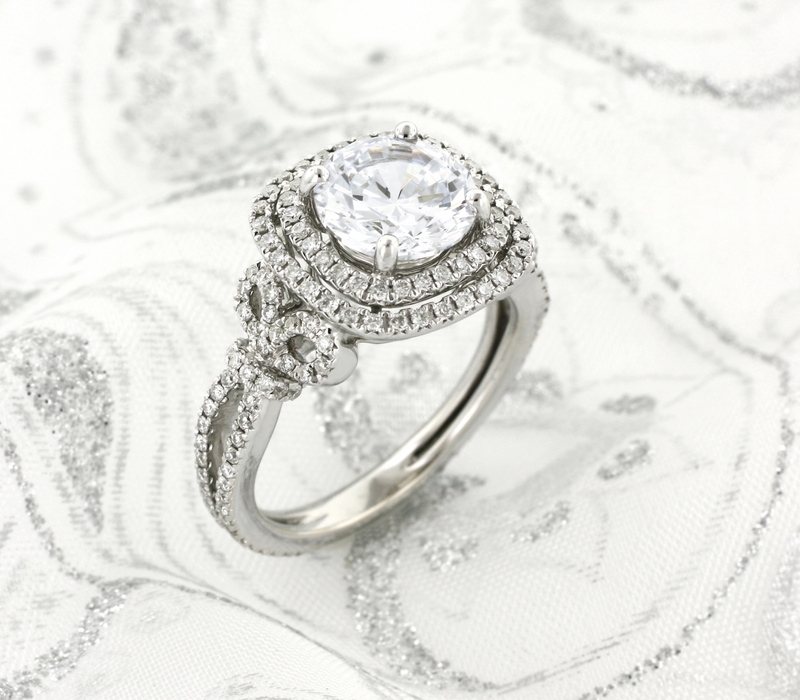 Its feminine silhouette, signature filigree and peek-a-boo diamond details are forever captivating. See and fall in love with your Kirk Kara ring from Kassab Jewelers. With this captivating ring designed by Claude Thibaudeau, your message of unconditional love and commitment and is truly undeniable. Channel and French pavé set accent diamonds gracefully flatter the round brilliant cut center diamond; creating a striking display of sparkle and brilliance. The Simon G Designer Collection is a celebration of traditions passed down through generations; pieces that not only last a lifetime, but get better with age. This elegant and refined serpentine design wraps the center stone in pavé set round brilliant diamonds and integrates yellow and white gold flawlessly. A truly fashionable and timeless piece. 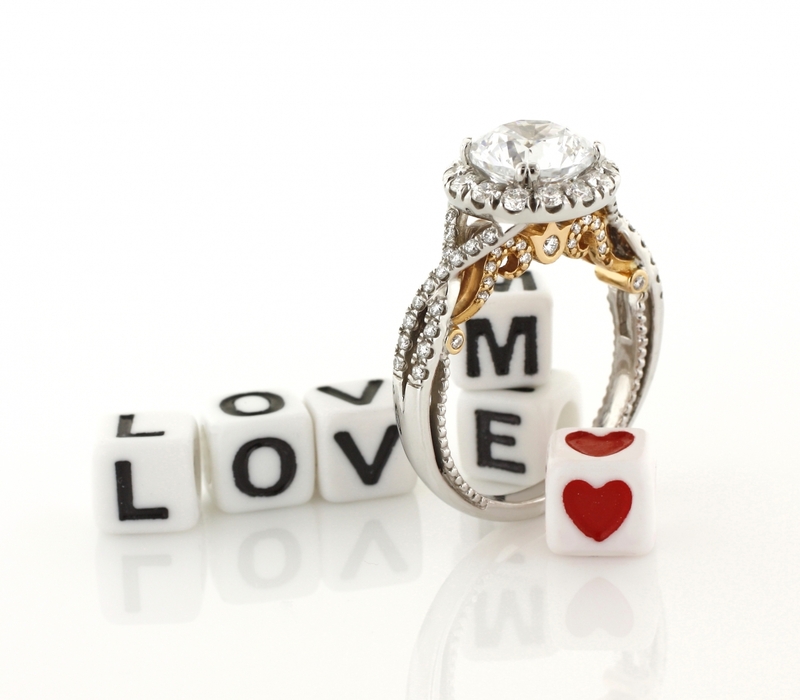 Representing everlasting love and commitment requires the highest level of craftsmanship and design. These qualities embody the bold and spectacular pieces found in the Supreme Collection from Kassab Jewelers. The balance and proportion of each luxurious setting is expertly crafted to accentuate the center stone to create a stunning display of sparkle and brilliance. Each ring in this collection is truly supreme; a perfect symbol of enduring love and beauty beyond compare. This exclusive line from Kassab Jewelers will maximize the elegance of even the most brilliant diamond, creating an heirloom to treasure forever. What is the best piece of advice that you can give a couple planning their wedding? Take your time and plan ahead. Remind yourselves what's truly important. Remember why you are planning this celebration of unity in the first place. 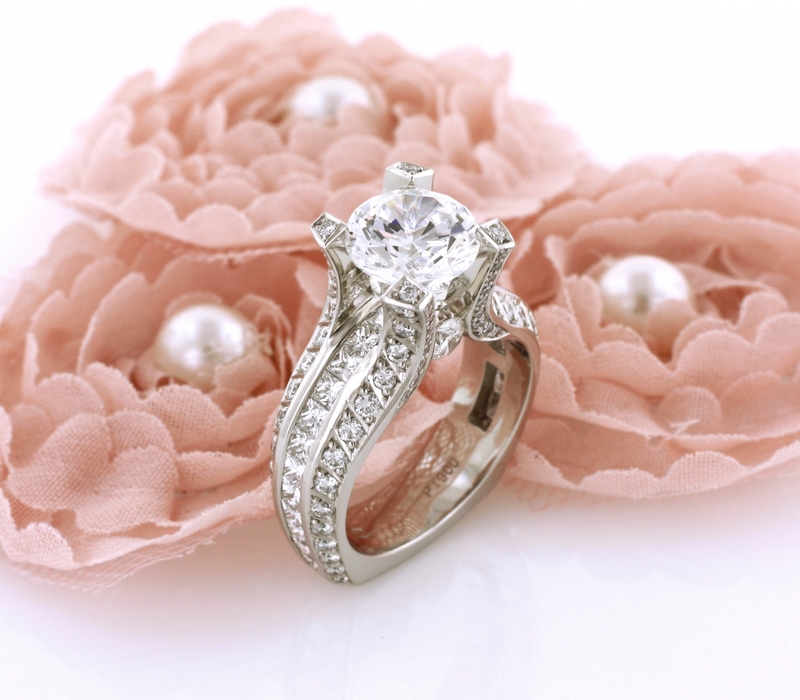 Our second best piece of advice is to order your wedding bands three to four months before the big day. 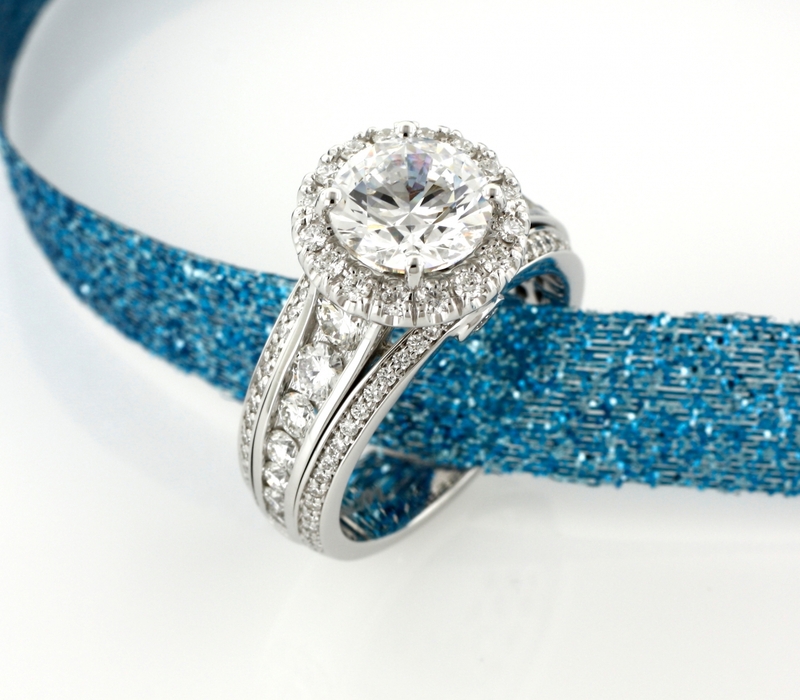 Your wedding bands are the only lasting visible symbol of your love and commitment that you wear every single day. Remember, you can’t finish the ceremony without one, so don’t leave it until the last minute. What is the best piece of advice that you can give to a couple picking out the engagement ring? Imagine being able to carry the essence of the person you love with you everyday; this is the meaning and purpose behind the engagement ring. Make sure you get the look you want. In other words, do not sacrifice on the overall design of the ring. This is the ring that you’ll be wearing everyday with every outfit, as a representation of unconditional love and commitment. You should love everything about it. 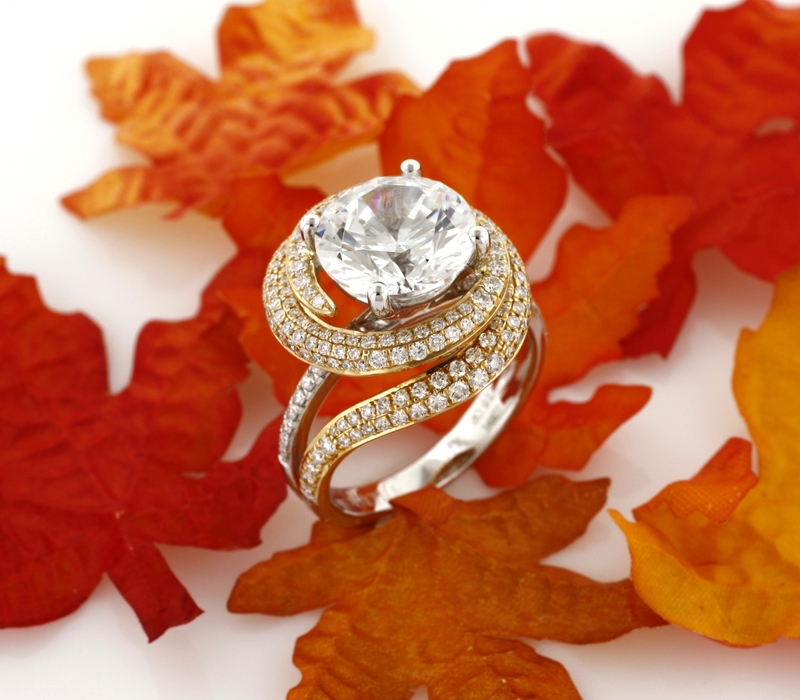 Every woman chooses jewelry in her own way; an engagement ring is a personal choice. It is interesting to see how trends come and go—but at the end of the day, if you love your ring, then nothing else matters. What was your favorite trend of 2016? Overall, the jewelry is getting bolder and the looks are getting more glamorous, but there's one trend that's still going strong from 2016 and doesn't show any signs of stopping. Layers! Keep layering! And not just one ring...multiple rings. Go crazy loading up on gorgeous, eye-catching rings and don't be shy about it. The bolder the better! Layered looks capitalize on diversity and volume; and there’s really no wrong way to layer. From chunky to delicate, platinum to yellow gold, incorporating stackable rings of all unique shapes, sizes and colors creates an unwavering versatile look. Have it? Flaunt it! A dash of bling will dress up your everyday look. There’s no need to wait for that special occasion—because every day is the perfect day to sparkle. Welcome 2017. This year is about being bold. This is the year of You. 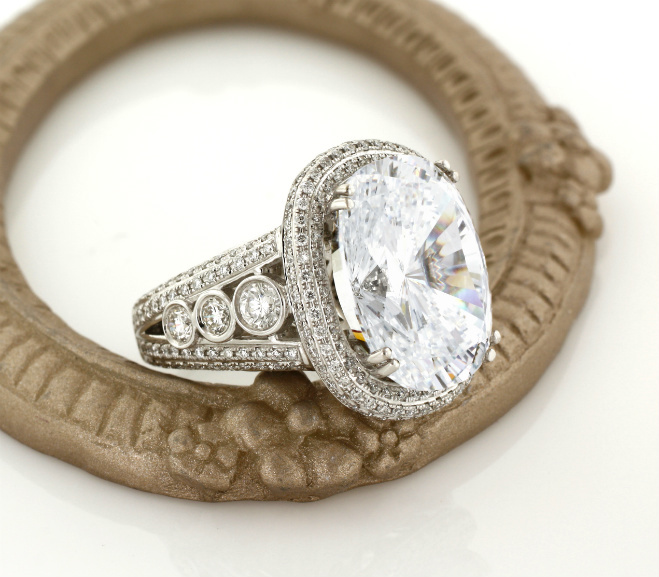 Since 1990, Kassab Jewelers has been recognized as one of the most esteemed jewelers, housing the largest collections of designer bridal and fine fashion jewelry in the northwest. We at Kassab understand the importance of finding the perfect setting or capturing a special moment in life by creating an exquisite masterpiece that you'll adore for generations to come.